Studying under Julian Ashton, George W Lambert and Henry Gibbons at Ashton’s Sydney Art School, Herbert Badham received a traditional art training based on the primacy of draughtsmanship, to which he added a personal interest in perspective and design. 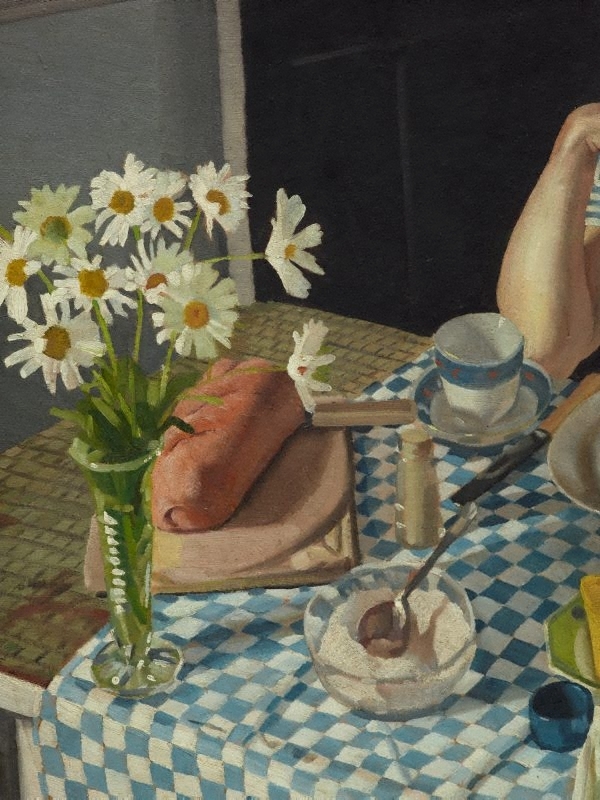 Exemplifying this particular interest, 'Breakfast piece' is an arrangement of objects amongst which the artist has situated his wife. 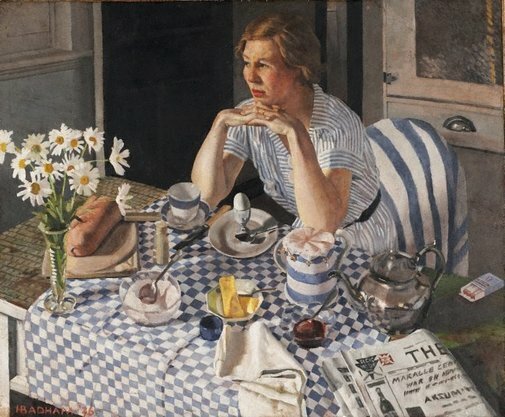 The painting’s tranquil morning mood, however, is counterpointed as the routine breakfast ‘props’ are juxtaposed with the newspaper headline announcing Mussolini’s invasion of Abyssinia. Badham was one of a number of figurative painters in Sydney between the wars whose work typified an aspect of Sydney modernism that addressed contemporary subjects through predominantly English realist traditions. Signed and dated l.l. 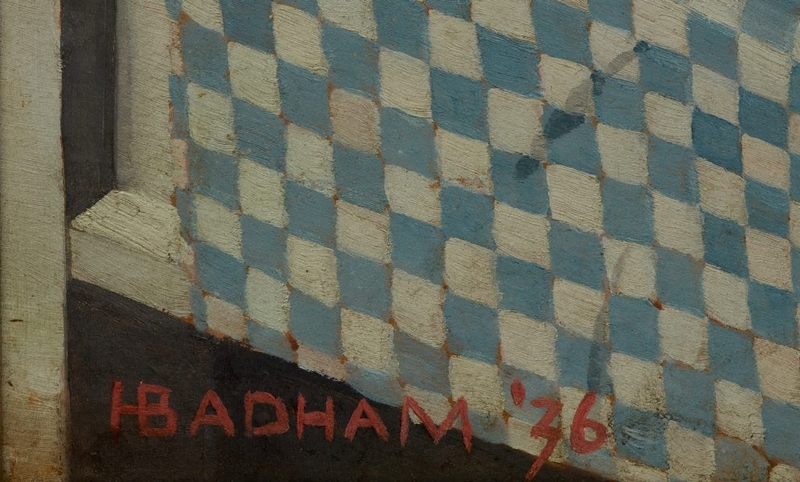 corner, red oil "H BADHAM ''36 ["HB" monogram]". Eileen Chanin, Art Network , 'Herbert Badham', pg. 20-21, Artarmon, Spring 1983, 21. A Staff Correspondent, The Sunday Herald , 'When art lovers take to the axe', pg. 13, Sydney, 22 Mar 1953, 13. Deborah Edwards, Australian art: in the Art Gallery of New South Wales , 'Classical allusions', pg. 135-136, Sydney, 2000, 135-136, 148 (colour illus. ), 300. 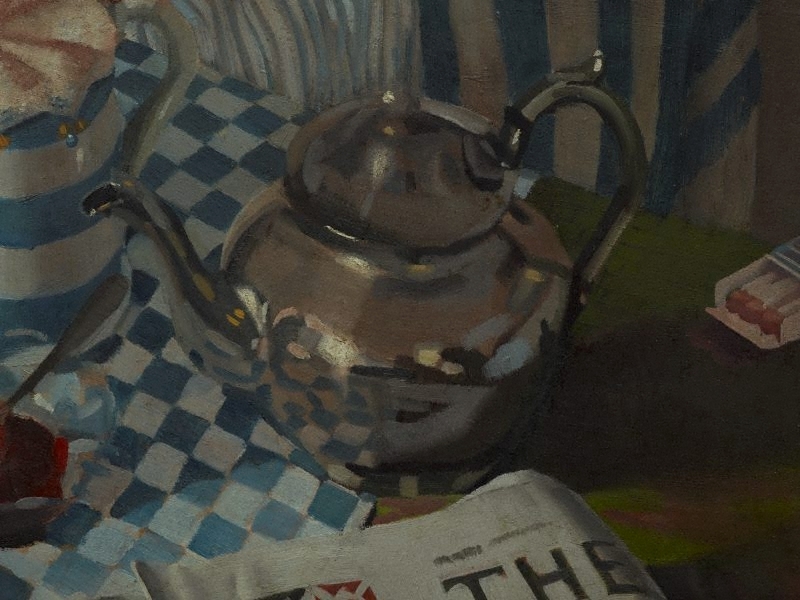 Emma Glyde, Look , ‘Tea and the art of good taste’, pg. 22-23, Sydney, Sep 2012, 23 (colour illus.). Heather Johnson, Brought to Light: Australian Art 1850–1965 from the Queensland Art Gallery collection , 'Reality or Religious Fantasy? Roy de Maistre and Herbert Badham', pg. 218-223, Brisbane, 1998, 222. Ronald Monson, The Sunday Herald , 'The carpenter now repairs works', pg. 21, Sydney, 22 Mar 1953, 21. Gavin Wilson, Cuisine & country: a gastronomic venture in Australian art , 'Cuisine & Country', pg. 9-66, New South Wales, 2008, 28, 31 (colour illus. ), 86. 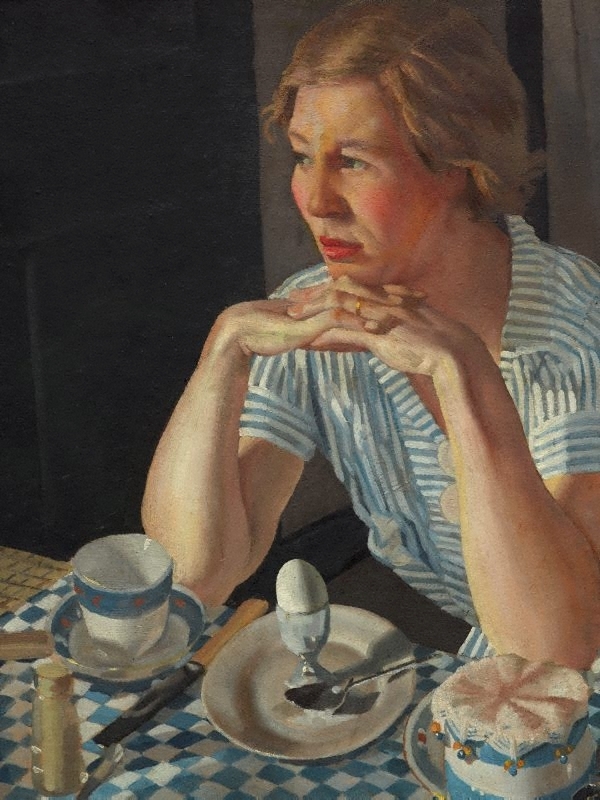 Art of Australia 1788-1941 , New York, 1941, 44. cat.no. 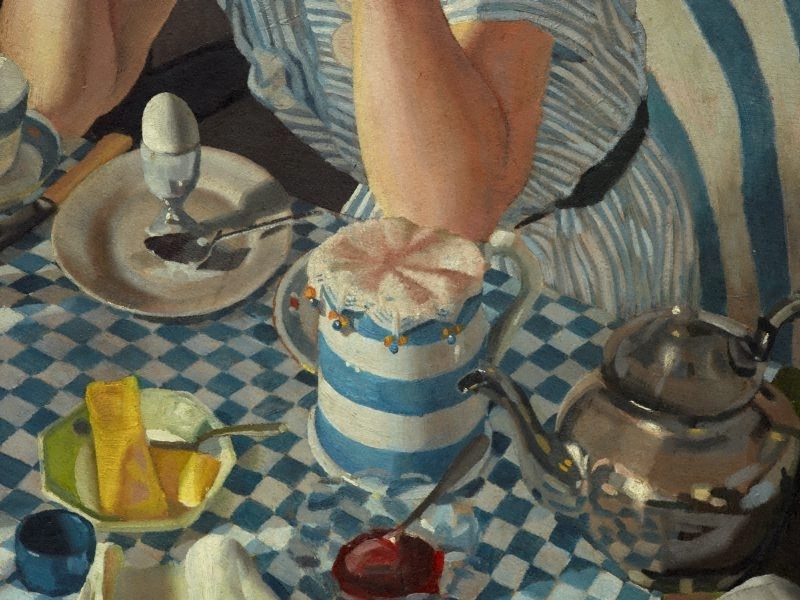 105; titled 'Breakfast'.